Happy NEW MOON in Libra September 23 / 24th 2014! We welcome a beautiful NEW MOON in LIBRA on September 23rd/24th on the heels of the ◐ EQUINOX ◐ on September 22, 2014. In this planetary moment of transition, as we move from one season into the next, let’s take the time to pause and release all our energy that has been tied into the past. It’s time to step into our future, and use all the realizations and lessons we have learned thus far to propel us into a new place and a new experience of being! “…The Sabian symbol for Pluto at 11* Capricorn is: A pheasant hidden in the underbrush of the forest suddenly displays its brilliant plumage. Perhaps this symbol speaks to the beauty of life which will be revealed to us in some manner. “I think we all need to see something beautiful and positive now so that we remember why we strive to change our priorities in life. Maybe it will be this weekend’s Climate Change march in New York City. “The Sun goes into the sign of Libra on the Autumn Equinox. The astrological wheel is turning. When the Sun is in Virgo, we are energized to take stock of who we are and where our talents lie…When the Sun goes into Libra, we get to take that ‘self’ out for a test drive with others. “We put ourselves into social situations where we see how well that Virgo integration took. Most of us put on a good face with others but inside we’re often insecure and uncertain. Or, we act too assertive and domineering, forgetting how to treat others with respect and courtesy. 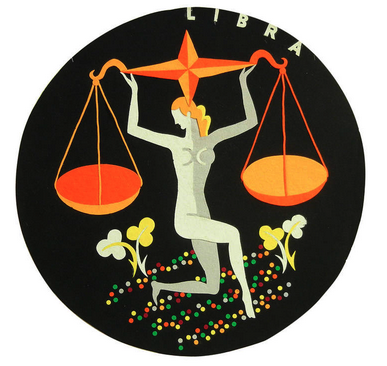 “Those Libra scales swing wildly up and down between too much and too little, between over-confidence and insecurity. © Copyright 2014 ~ Cathy Pagano All Rights Reserved. “Libra, ruled by beneficent Venus, Goddess of Love, Beauty and Creative Power brings a balance of harmonious relationship, cooperation and fairness to our month. Libra raises not only a desire for social activity, but also a need for beauty, the arts, aesthetic refinement. “Because air signs are masculine and mental, as well as interpersonal in their expression, (and we all have Libra some where in our charts) Libra’s harmonious nature brings a tactful and diplomatic ease to our interactions. “With the powerful combination of Equinox 0º Libra and New Moon 1º Libra, we can use this opportunity to empower our intentions, dreams, and projects to reach the highest manifestation possible. Libra is an ally to focus our intentions for peace, unity of all consciousness, and unconditional love. © Copyright 2014 ~ Pat Liles All Rights Reserved. © Copyright 2014 ~ Lea Whitehorse All Rights Reserved. “Over the next 4 weeks, the New Moon in Libra introduces us to a time of new inspiration through transfiguration, with Venus bringing gentle beauty and appreciation to all we attempt. “This will be a productive New Moon, with a promise that the scales of justice will be balanced as we see how connected we truly are to the life that’s all around us! “…Very big changes in how we do and do not mesh with the collective will be in motion, and some will find allies with whom they can cooperate in a greater destiny involving a collectivity of people. “…right now we have Mercury quintile both Jupiter and Pluto, and Jupiter biquintile Pluto. This activates 3 points of a 5 Pointed Star pattern, showing high specialization where unique qualities can come forth, or specialized conditions will allow for unique gifts that are perfect for whatever is needed in that situation. Given that Jupiter is part of the very powerful Grand Fire Trine in the making these next several weeks, it’s time to get inspired and light up the sky of our life! “Many of the gifts and unique conditions promised by this New Moon will show us new ways of linking our perception to our imagination, especially regarding seed-forms to be developed with patience and maturity. Many who have endured tough situations, disappointments, and relentless or manipulative people will find rewards for having done the right thing despite difficult circumstances. “…Saturn in Scorpio continues to put a focus on eliminating stagnant feelings and responses, finding appropriate boundaries and a sense of responsibility for our magnetism as we continue to shed various ‘skins of personality.’ This Lunation shows Saturn with few powerful aspects, indicating it will be one force in the Neptune ‘forks in the road of destiny’ that the world is facing at present. “Scorpio helps us make choices about what to eliminate, what to regenerate, and how to let go of all that we don’t want nor need to take with us into the future. “…Saturn continues to help us see a) how we have shifted our magnetism on relationships since last Summer, and/or b) how we need to find a new view or way of understanding the losses and eliminations of the past we’ve been through. Now we’re flowing into a long wave period of finding the right focus to allow inspiring teachings to transform our daily lives. NEW MOON Blessings to all! I love these reports. I came here specifically for this! It’s as if each report is specifically catered to me… mindblowing. Thank you! You’re scaring me for October! My birthday is October 23rd, the day of the new moon solar eclipse in Scorpio. Btw I LOVE the illustration – Northern Star and Libra! My north node and 5th house (creativity ) are in Libra = this seems like a perfect illustration! Thank you for sharing the illustration and the name of the artist. I love this. Looking forward to the next few weeks! This has really been spot on with where I am right now. Thanks for gudhengivne me The tools to move on… I needed to get some guidance! I am really perplexed, add the new moon was on September 13th and not the 23rd. Can someone solve this mystery please? This is from 2014. For current posts go to Astral Insights main page.